The development of golf in Croatia and Sport Concept’s idea of turning a tennis court into a golf range was born at the beginning of the new millennium. With a detailed analysis and many years of tennis experience, Croatia was found to be one of the rare countries with numerous tennis courts, and especially clay courts, which are mostly empty and unused during the summer months. 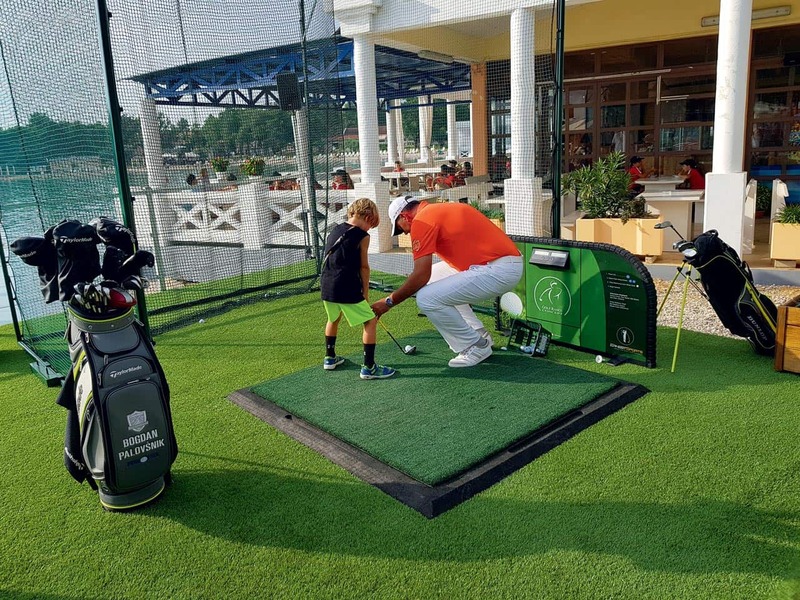 Considering the fact that golf’s popularity is not yet widespread in Croatia, which needs to change because the sport has numerous advantages, the idea of turning a tennis court into a golf rage – Golf Range Concept – was born. The creator of the project, Sport Concept, has protected the project by copyright because it is unique in Croatia. Golf Range Concept consists of a mini golf course and a golf range which includes all elements of a professional golf course, suitable both for experienced golfers and beginners. However, the golfs range is also intended for beginners, or anyone who has never held a golf club in their hand, but still wants to give it a try. The range consists of a ‘putting green’ with three to nine holes, ‘sand bunkers’, or obstacles while playing on a sand course, ‘chipping green’ for short putting, ‘practice nets’ with two to four nets with targets positioned for practicing long strokes, and a mini golf course with 9 to 18 different fields. The project was built on an area the size of one tennis court, 600 to 800 square meters. ACI marina Dubrovnik used to have two tennis courts, but now one of them has become a golf range. 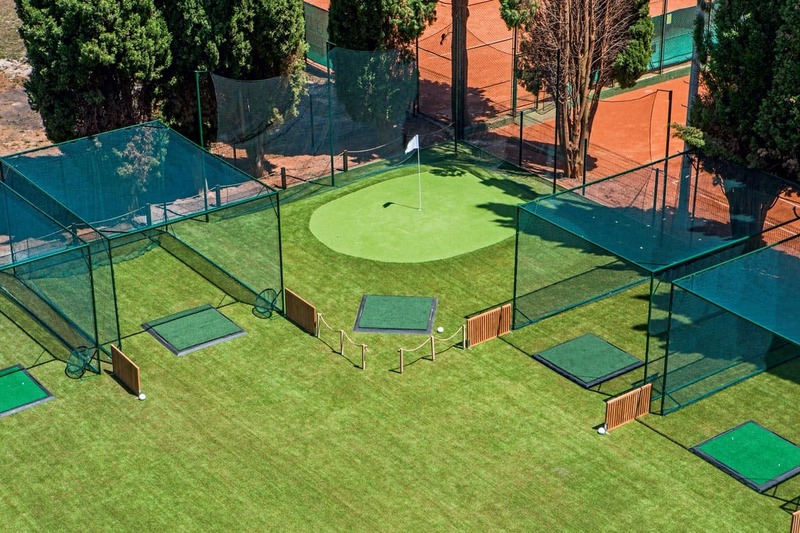 State-of-the-art materials and artificial grass were used for building the range, so it can be used throughout the year. It is important to note that due to the use of artificial materials there are no maintenance costs, and the entire process of renting equipment and tracking it can be simply arranged at the reception desk. The project is very flexible and does not necessarily have to be tied to the tennis court area, but you can practice at available areas within the marina, hotels, camps, sports centres… Also, design options are very diverse so spaces don’t need to have a regular shape. The level of investment in a golf range is not big and you can expect a return in a short period of time, while the annual revenue is up to ten times higher than the revenue you would get from a tennis court. Professional golf equipment is also available – sets of matching golf clubs in bags for right-handed golfers, left-handed golfers, ladies and gentlemen, and special sets for children by age, balls and carts, as well as mini golf clubs and balls – all included in price per hour. With the support of golf animators, every guest can learn their first swings and enjoy golf. The whole family can participate because there is also a modern artificial grass miniature golf course with 9 to 18 different fields. Sport Concept continues to invest in new features and interesting components that complement Golf Range Concept, such as a golf simulator – an interactive device for measuring the speed, strength and direction of the golf ball after you swing it, as well as luminous markers and golf balls for playing and partying at night. They have a discrete light in a variety of colours (seven) and can be changed using a light beam (from your smartphone) so each player can get their colour. 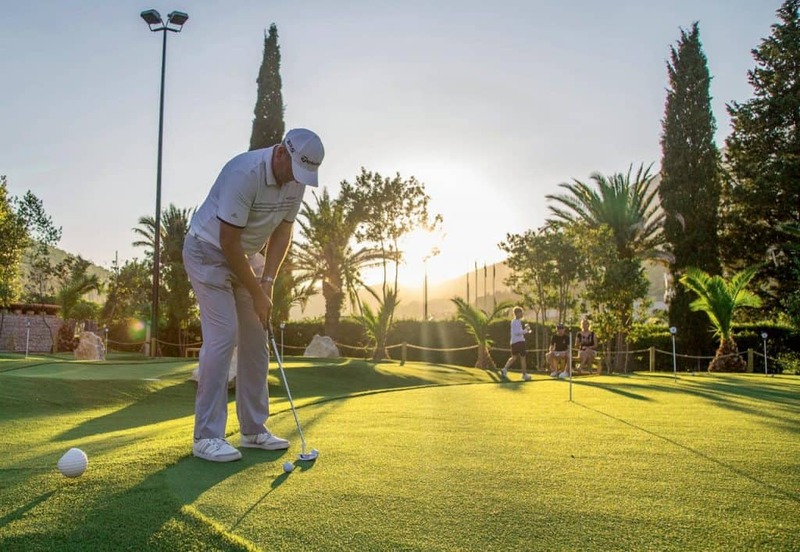 In addition to the ACI Marina Dubrovnik, the golf range and the mini golf course can be found in Pula – Park Plaza Verudela, Poreč – Tamaris Hotel, Umag – Katoro tennis academy, Krk – Omišalj campsite and in Zadar – Falkensteiner Punat Skala from August 2018. The purpose of this project is to extend the season within the tourist facilities and to create new content that will attract guests who want to spend their holidays in an active way, having fun with friends or their whole family playing golf or mini golf. Croatian tourism has definitely been lacking this type of entertainment and therefore this project is very unique and we believe it will contribute to attracting new and diverse guests who will leave Croatia richer in golf experience.